Carboxymethylcellulose (CMC), also known as cellulose gum, is manufactured by the chemical synthesis of naturally-derived cellulose with chloroacetic acid. The multifunctional aspects of this product make it favorable for use as a key intermediate or ingredient in several applications. Furthermore, CMC is incorporated as a binding, thickening, stabilizing, emulsifying, suspending, sizing and coating agent in various applications. Cellulose gum enhances the aesthetics of the finished product by imparting a smooth texture and modifies the viscosity of various foods and beverages, superabsorbent hydrogels (as in many personal care products), cosmetics and pharmaceuticals. Textiles, paper and board, oil and gas drilling, paints and adhesives, and soaps and detergents are other major applications in the global market. 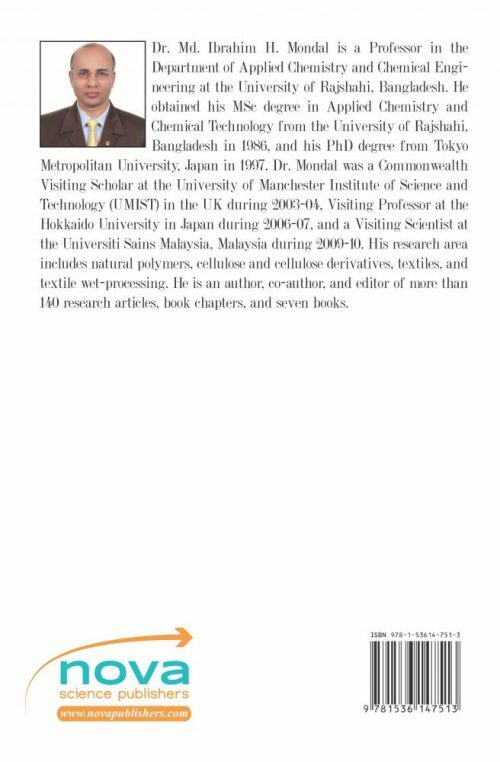 The present book thus covers a wide range of applications; hence, a great number of people, both academics and industrialists, may find topics of interest about CMC, as well as other cellulosics. Although there are many research publications, patents and reports on CMC, no books about it are yet available. The present book reviews some vital issues and topics on the latest scientific and technological advances in carboxymethylcellulose. This book will provide an essential source of information to readers, in the exploration of possible applications of CMC, and in the generation of new ideas for product development. The book is divided into two volumes: Carboxymethyl Cellulose: Volume I – Synthesis and Characterization, and Carboxymethyl Cellulose: Volume II – Pharmaceutical and Industrial Applications. The book contains a total of 32 entries on selected topics. Each chapter describes some specific issues and gives the current status of research and technology in the study of synthesis routes or design concepts, methods and fabrication strategies, characterization and applications of CMC products, as well as future prospects for research in the subject area. Highlights of this book include synthesis and formation mechanisms of CMC, structure property relationships, homogeneous and heterogeneous phase modification to create common and functional products, analysis and characterization, absorption and swelling mechanisms, stimuli-responsive and super-absorbency nature, and a wide range of multi-dimensional applications, including human consumption and uses. 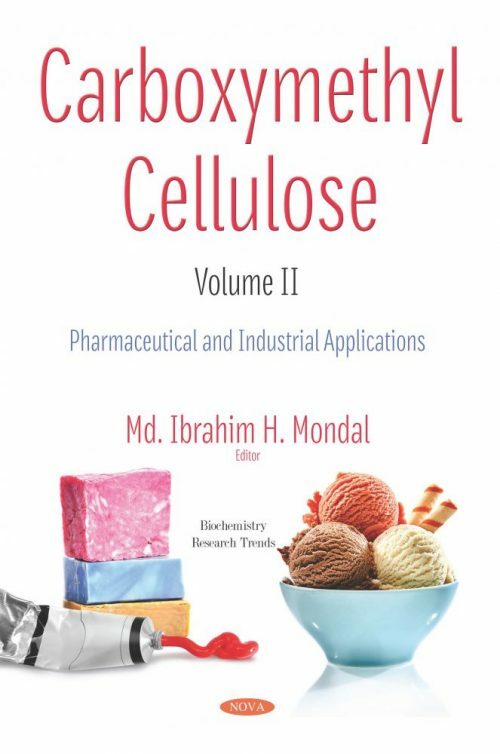 The book will be a valuable reference for students, research scholars, academics and industrialists in the field of cellulose derivatives research.